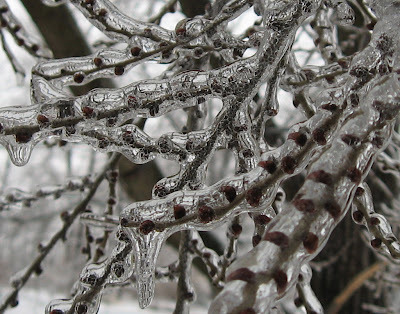 Jael's Art Jewels Blog: Ice!!! Yikes!!! I visited my brother and sister in law (my parents are staying with them while we search for a house here in Champaign) in Washington, IL, from Wednesday until today. Thursday night, it rained and froze.... big time... and the ice is still there, with temperatures projected to dip into the single digits, with wind at 20mph. I hope the trees don't drop too many more branches!